One level living with vaulted ceilings, covered front porch, wrap around deck, fenced in yard and lots of updates. Home offers a master bedroom suite with his & hers closets, spacious kitchen, and updates to include new roof, A/C, furnace, trim, fencing, patio door, all new flooring except in kitchen, added insulation, cement slab in front, appliances and added a 2 car detached garage that is insulated. 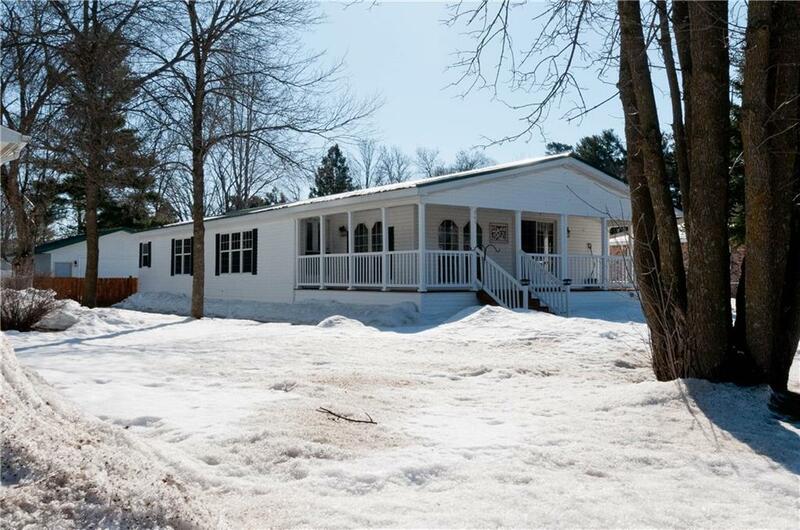 Perfect location and only minutes from HWY 53, the hospital and schools.